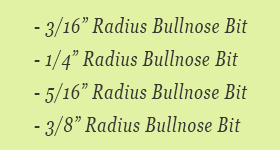 Also available in Metric Version. 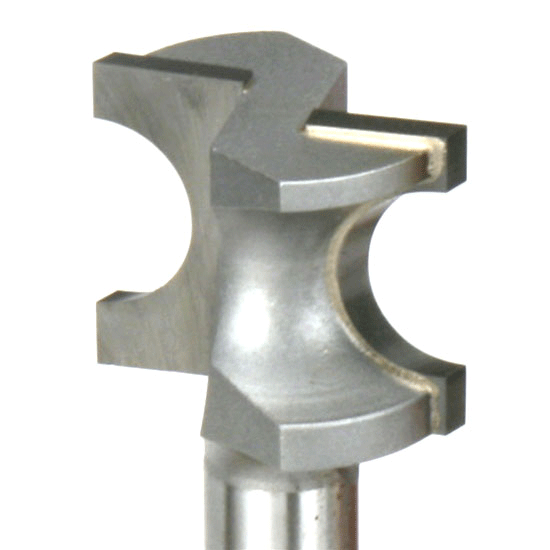 INCRA Systems use router bit geometries that are widely available, so there are literally dozens of sources for compatible bits. However, the quality of the router bits you use will be a big factor in the results you’ll get. 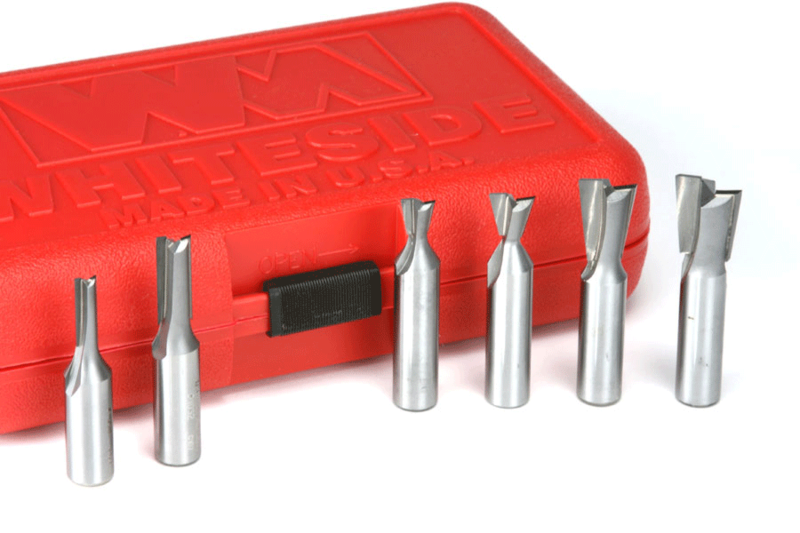 American-made Whiteside bits are as good as you’ll find, earning #1 ratings in both of the past two Fine Woodworking Magazine router bit comparison tests (May/June 2007, August 1999). 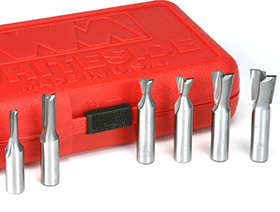 All bits are two-flute, carbide tipped models with 1/2” shank size. Each wooden hinge requires a full-radius bullnose bit to shape the hinge barrel and a similarly-sized straight bit to cut the mating halves of the hinge. 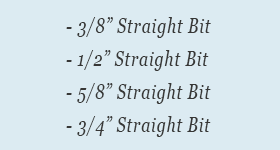 This set contains all of the bits necessary to produce wooden hinges with 3/8”, 1/2”, 5/8”, and 3/4” barrel diameters. 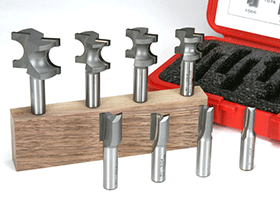 This set contains all of the bits necessary to produce wooden hinges with 3/8" (9.52mm), 1/2" (12.70mm), 5/8" (15.88mm), and 3/4" (19.05) barrel diameters using the metric HingeCrafter and a metric Incra router fence system. Please note that this set is NOT compatible with 1/32"-based INCRA Systems or the standard imperial HingeCrafter. The bullnose bit sizes are shared with the imperial HingeCrafter, but the straight bits are metric in order to accommodate the spacing on metric-based INCRA fence positioners. 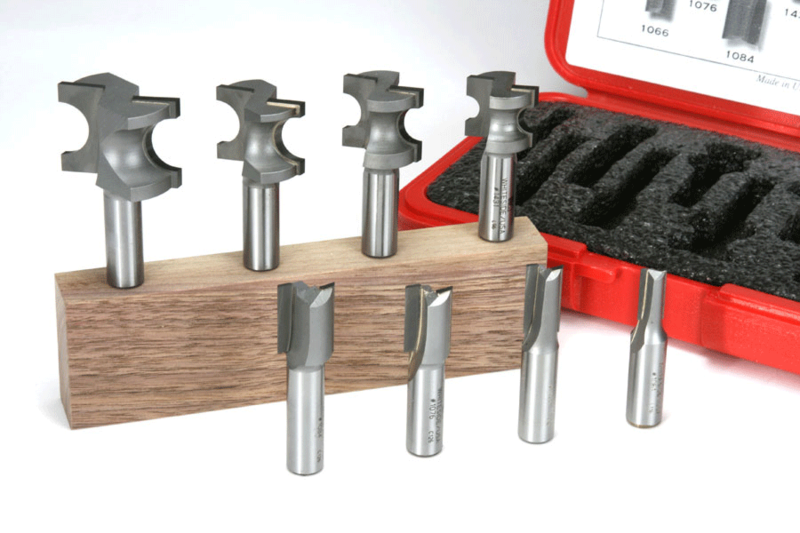 6-Piece INCRA Joinery Router Bit Set, (1058, 1062, D9-376, D14-55, D7-625, D7-750) Straight 1/4" & 3/8" Dovetail 3/8" - 9 degree, 1/2" - 14 degree, 5/8" - 7 degree & 3/4" - 7 degree (1/2" Shank). 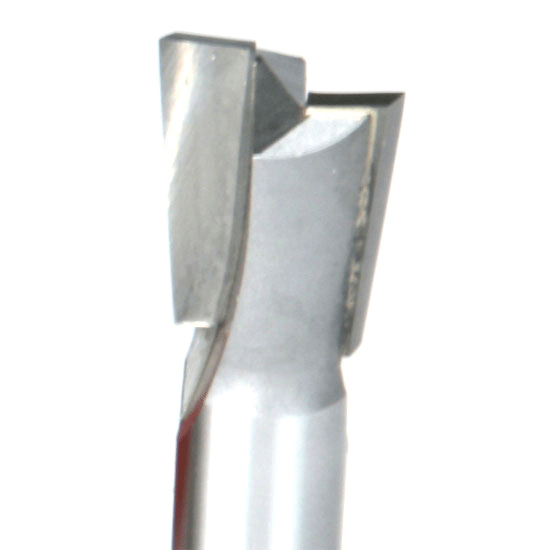 Radius Bullnose Bit for HingeCrafter Set. Close up for Joinery Router Bit Set. INCRA Wheel Kit The INCRA Router Stand Wheel Kits can make your INCRA Router Stand mobile in a small shop. INCRA HingeCrafter The INCRA HingeCrafter makes for 3/8", 1/2", 5/8" & 3/4" hinges. INCRA 8pcs MagnaLOCK™ Ring Set (3/8", 5/8", 7/8", 1-3/8", 1-5/8", 1-7/8", 2-5/8" & 3-3/8") For upgrading an existing INCRA Table Saw System.